So you’ve let your dream of having your own business, paired with your love of food become reality by opening up your own restaurant. Kudos to you! You’re probably aware by now how important it is to have your own business plan tailored, and this includes sorting out the investments, profits, costs, detailing out a unique menu, acquiring all the bits and pieces of inventory in terms of appliances, utensils, furniture, and of course, getting the right marketing strategy, spreading word around through the internet, using bags as your promoting items, and giving out additional free food to attract customers. Now, if you’ve got all of this well taken care of, I have to disappoint you, your work is still far from over when it comes to profitability; the key lies in what you do with the ambiance, particularly that of your exterior (be it a garden, or terrace) which is where commercial outdoor planters come to the rescue. Like it or not, people go for ambiance, equally as they go for food quality, variety, and prices. Ambiance is influential so much so it can either talk people in or out of visiting your restaurant. If you want to get all the positive reviews on TripAdvisor, breathe some life to your exterior with the help of the natural beauty of plants. Now is as good a time as any to bring plants to play as the weather is warming up and people would be more than keen to enjoy a tasty meal outside. Apart from providing the area with liveliness, and colour, plants also fill up the surroundings with pleasant fragrances (depending on the plants, of course). Sure, you’d be thinking who has the time to deal with plants when you’ve got a restaurant full of hungry people waiting to be served savoury meals, and I can say it needn’t be your reason more to worry. 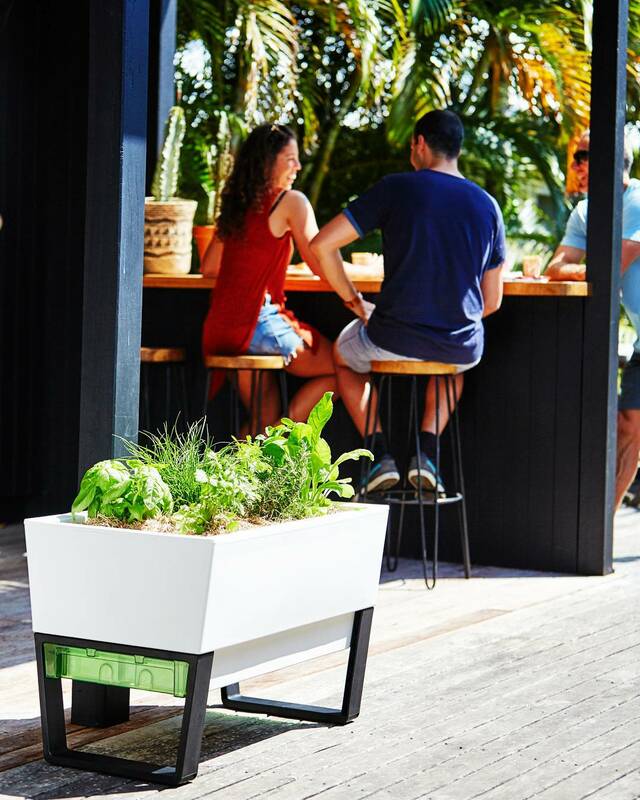 Due to the latest technology and innovation, commercial outdoor planters have undergone considerable changes themselves, offering low maintenance watering options, and the chance to have fun creating bold spaces by effortless inter-conectivity. Yes, I’m talking about the ingenious design of self-watering planters, that can win you and your customers over with their appeal. These planters, along with ridding you of the frequent watering chores, offer you the chance to form a continuous boundary, or dividing walls of a sort, as they can easily be attached to one another, and they even use shared water supply through linked reservoirs, so every three planters require watering input – this is perfect if you opt for hedging. Wanting to make spaced individual statements, you can use them up aligned by a wall, and plant climbing plants, positioning them at large distances. If you feel like it, you can also use them to plant your own organic ingredients in the likes of herbs and vegetables – people love organic! 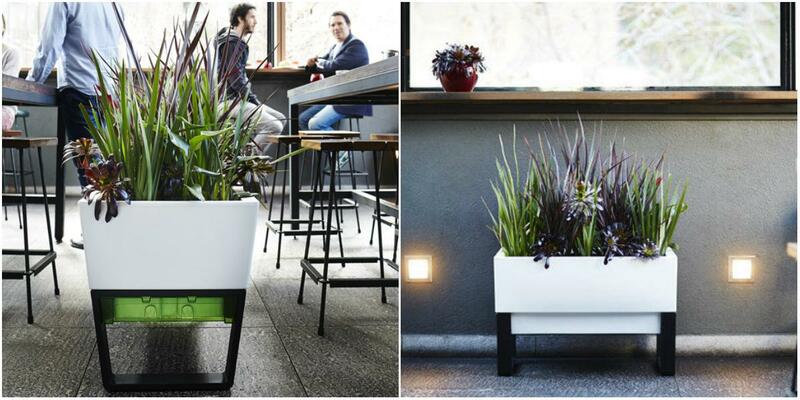 Choose your plants, pair them with the planters, and don’t be surprised when they make wonders for your area.